The rules surrounding taxes on gifts often create confusion during tax season or any other time. Below are some of the nuts and bolts of the gift tax, including when a gift tax form needs to be filed. The annual gift tax exclusion for 2018 and 2019 was $15,000. This means that any person who gave away $15,000 or less to any one individual (anyone other than their spouse) does not have to report the gift or gifts to the IRS; any person who gave away more than $15,000 to any one person, however, will have to file a Form 709, the gift tax return. But just because you file a Form 709 doesn't mean you necessarily have to pay taxes; this depends on your past gift-giving history. The IRS allows you to give away a total of $11.4 million (in 2019, up from $11.18 million in 2018) during your lifetime before a gift tax is owed. This $11.4 million exclusion means that even if you have to file a Form 709 because you gave away more than $14,000 to any one person last year, you will owe taxes only if you have given away more than a total of $11.4 million in the past. As a result, the filing of a Form 709 is only formality for most people. Another way for a gift to be exempted from reporting requirements no matter the gift's size -- is to pay for someone else's medical care or educational tuition. It is important to note that the money must be paid directly to the school, university, or health care provider to be exempt, and that pre-payments can often be made as soon as the person is admitted to the school (schools include not just colleges but nursery schools, private grade schools, or private high schools). However, if you contribute to someone else's 529 college savings plan, you are subject to the $15,000 gift exclusion rule. A special regulation in the tax code enables a donor to use up five years' worth of her exclusions and gift $75,000 (in 2019) to a 529 at one time. Also note that gifts to a spouse are usually not subject to any federal gift taxes as long as your spouse is a U.S. citizen. If your spouse is not a U.S. citizen, you can give only $155,000 without reporting the gift (in 2019). Anything over that amount has to be reported on Form 709. If you have given away property other than money, like stock, you have to report that on your gift return, too, if the value is more than $15,000. If the stock had gone up in value since you bought it, you report the value as of the date that you gave it away. You may want to inform the recipient that the basis, or the amount that you bought the stock for, becomes their basis. The basis is used when the property is sold to determine the profit or loss. 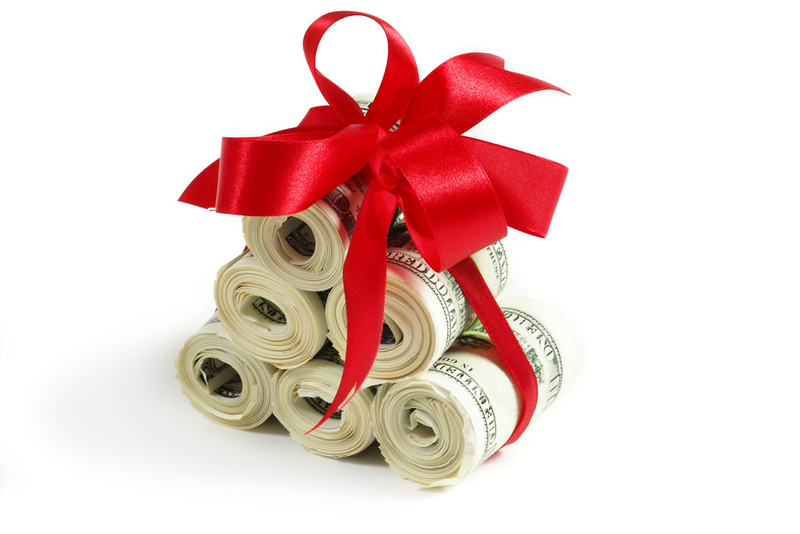 Can a Gift Be Returned in Order to Qualify for Medicaid?